If you haven’t played Palmira Golf Club in a few years, you’ll discover a new golfing experience. 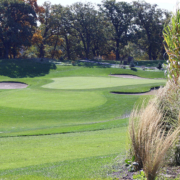 Located in Northwest Indiana convenient to Chicago and the South Suburbs, Palmira has undergone extensive construction in the last 10 years and is now regarded as one of the premier public courses in the area. The course has bent grass fairways, many elevated tees, numerous water hazards, and a course design that features risk-reward golf architecture. We have a state-of-the-art Practice Facility – Driving Range with grass tees, enormous undulating Putting Green with chipping and traps. We are the Proud Home of the Hanover Central Wildcats, Lake Central Indians and the Illiana Christian Golf Teams.